We were pretty excited when we heard about the Chic Sketch, an app that allows users to receive quick downloadable and custom illustrated sketch of yourself, your friends, colleagues or loved ones to be shared immediately on social media or presented as a thoughtful gift. 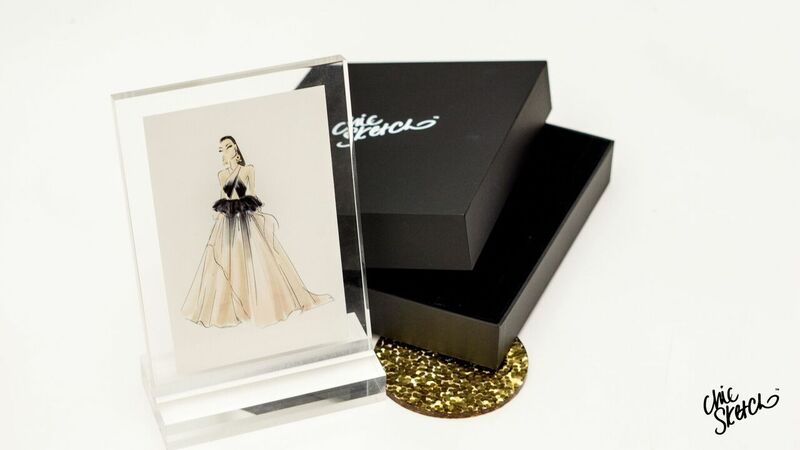 Created by husband and wife team Emily Brickel Edelson and Jordan Edelson, Chic Sketch now offers a new merchandise line where you can get custom designed accessories to showcase these designs. 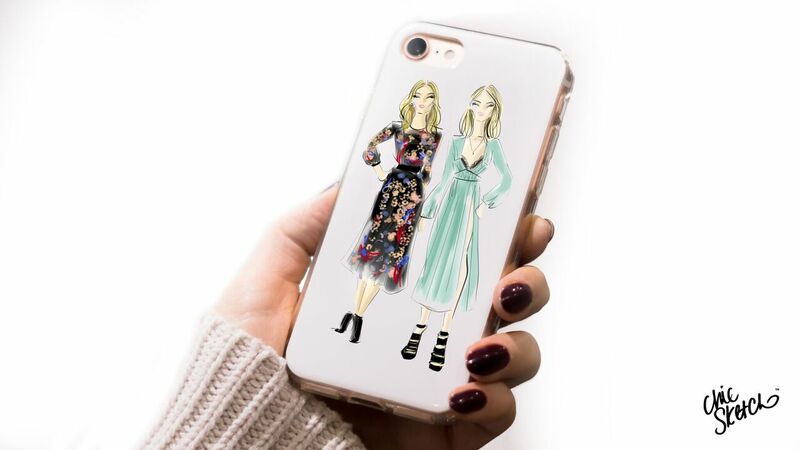 This includes the The Chic Case, designed for iPhone 6, 6Plus, 7 and 7Plus, is custom designed with a personalized, where you can now get a hand-drawn sketch to rock on the front. Crafted to merge design and functionality, the case is made of lightweight polycarbonate shell and shock absorbing transparent rubber edge. With this design, the color of your iPhone will peek through the case adding an extra dose of personalization. The Chic Case is also stamped with a metallic silver foil Chic Sketch logo inside the case, visible only to you. Each case comes in its own luxe keepsake box and will retail for $39.99. The new line is available for purchase via the Chic Sketch app for iTunes and Androidusers. For more information about Chic Sketch, visit www.chicsketch.com.